A pilot session has been developed – Managing Patients Undergoing Anaesthesia in the MRI Unit – which is aimed at staff working with anaesthetic teams and the unconscious patient. It was written by Barbara Nugent, the project Clinical Lead and an experienced MRI radiographer, in collaboration with UK MRI professional bodies and interested parties. This session will be evaluated by a global panel of practising MRI staff, and its impact shared. Staff undertaking this session can record it in their CPD portfolios for professional accreditation and regulatory (HCPC) CPD purposes and it directly addresses the MHRA recommendation that an MR unit should maintain a list of all MR Authorised personnel together with full details of their training and certification. Growing global evidence indicates that MRI safety, performance and wellbeing are at risk from inadequate safety protocols, lack of training, poor operational systems, and physical and socio-cultural factors. The main cause of harm to patients is injury due to burns. In addition, patients, staff and visitors are being injured – and in some circumstances, killed – by ferromagnetic objects and implant disturbance. There is evidence that the reporting of such preventable harm is grossly under-stated, with estimates of only 10% of MRI incidents ever recorded. 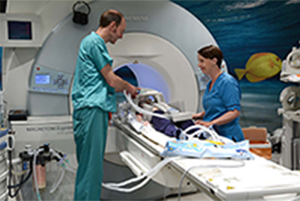 Most clinical MRI scanners are over 30,000 times stronger than the earth’s magnetic field. A common assumption is that the main danger comes from the ‘missile effect’; where ferromagnetic objects, such as oxygen cylinders, or smaller items, such as scissors or pens, can kill or severely injure anyone in their path towards the magnet. Seventy percent of the injuries which occur in MRI units are estimated to arise from burns, with 10% of injuries due to the missile effect and 20% collectively due to implant disturbance, quench, fire, acoustic concerns and internal heating effects. 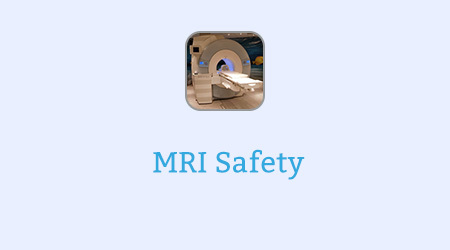 If you already have an account with e-LfH, then you can enrol on to the MRI Safety programme by logging in to the e-LfH Hub, selecting My Account > Enrolment and selecting the programme. You can then access the programme immediately in the My e-Learning section.